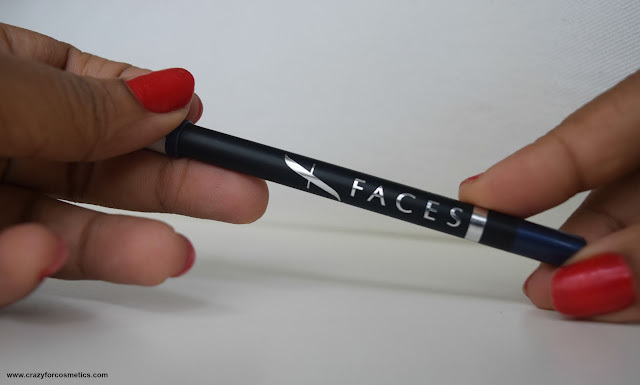 The Face Long Wear eye pencil comes in a simple pencil shape with the need for sharpening and not the twist up type. I always consider this type of an eyeliner as a better one due to the bacteria free edges when we sharpen them. 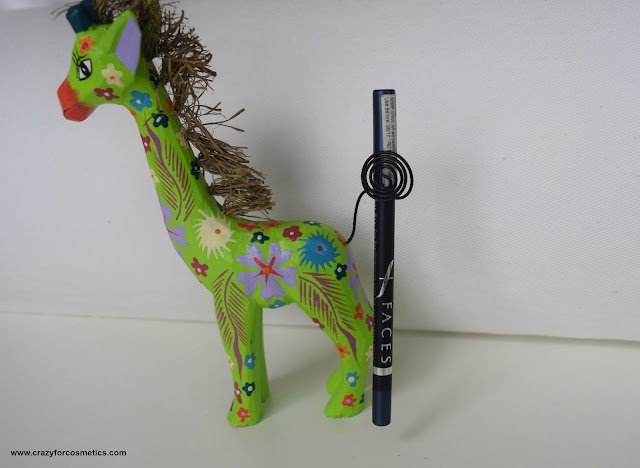 The Faces Long wear eye pencils are by far the best ones I have tried. I am in love with their creamy texture and they glide so effortlessly on my eyes. The eyeliner is so creamy that it needs to be sharpened almost every time I use it and it gets used up really fast. It can be easily used to line the upper lash line as well, since it guides smoothly on the eyelids without any hassle. The shade is a beautiful blue that would suit most of the Indian skin tones and would not look very garish unlike Aqua Blue.The shade kind of looks like black from a distance and it would look navy blue only from a close distance. 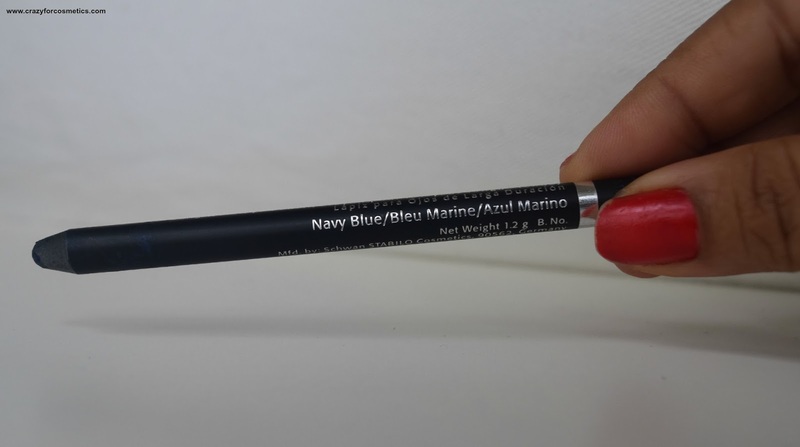 The staying power of the Faces Long Wear eye pencil in Navy Blue is just brilliant in one word I would say. I even went for swimming with this on my eyelids and it did not budge. It stays put for about 7 hours on my super duper oily lids and I love it to the core for the staying power. I generally avoid pencil liners on my lower lash line since my eyes are really sensitive and nothing other than Lakme Eyeconic suits me. I am in love with this eye line pencil and I highly recommend this to my readers. I already have 3 colors with me & I am still obsessed. 5 : Available in multiple shades. 1 : Kind of irritates of eyes when used on lower lash line. Actually all brands do that to my eyes - So not exactly a con. You guys can go ahead and try it. 2 : Gets used up very fast due to the creamy texture.